10. It’s a way to give back to your community and the world. By helping to engage more Jewish teens, participate in social action and community service, and create a safe and cohesive atmosphere for Jewish people in your community, you are giving back and making your community and the world a better place. By being a leader, you are also influencing others to become leaders. 9. It looks good on college and job applications. Being a leader within BBYO provides you with experience, knowledge, perspective, connections, and opportunities that are hard to find anywhere else. Teens, alumni, parents, partners, BBYO Staff, and advisors all recognize the time commitment that being a leader takes. Among these, Matthew Grossman, the CEO of BBYO, writes a letter to major college admissions officers to express the significance of leadership in BBYO. 8. It builds your confidence. One of the amazing things about being a leader is the support that you get from both adults and teens. Closed caucus elections (candidates are not revealed until the day of elections) are run to ensure that each leader is qualified and dedicated. Leaders often stand up in front of the room, write speeches, lead services and programs, and guide members. The tolerant and embracing atmosphere of BBYO promotes poise in student leaders. Leaders are not limited to any “type,” and that is very prominent in BBYO. Each leader can put themselves in their position and feel confident while doing so. 7. You meet people with similar interests. When groups of passionate, dedicated, and motivated teens are put together to be leaders, the impossible becomes possible. I have made some extremely meaningful and strong connections with other teens since being on board, and by being leaders together, we get closer and learn from each other. 6. It improves your social skills with both teens and adults. I came into BBYO as an awkward 8th grader, scared of confrontation with adults. 3 years later, I can easily have conversations with strangers, make new members feel comfortable, have in-depth conversations with adults, and feel confident in everyday interactions with people. Just a couple weeks ago, I had the amazing opportunity to have dinner with the BBYO Board of Directors. I went in extremely nervous that I wouldn’t be interesting enough, that I wouldn’t have anything to say, and that they simply wouldn’t be interested. I am happy to report that everything went incredibly well, and I can thank the social skills that I have developed with teens and parents through BBYO. 5. It heightens your own BBYO experience. “It’s what you make it. The more you put in, the more you get out.” These words were said to me in 8th grade at my region’s New Member Convention by one of my biggest BBYO role models. BBYO is an experience that you build yourself. You decide to come to an event, to talk to new people, to register, to host, to run for the board, to go to conventions, and to go on summer programs. The advice she gave me really made me think, and I could not be more thankful for it. I can’t count how many times I’ve looked back on that advice and made a decision because I could feel what was right. This February, I made the decision to run for both Council Board and my Chapter President, something that I was told would be too much for me. Flash forward to 8 months later, my chapter term is coming to an end and I do not regret the decision I made one bit. 4. It is an opportunity you would not be able to get anywhere else. Unlike many organizations, especially those of a magnitude similar to BBYO, AZA and BBG are teen-led. All teens write programs, figure out all program logistics, invite members, run all social media, communicate with both teens and parents, handle funds, and elect future boards. This kind of trust and independence is not given with being a class officer, a team captain, or a club president. 3. You help shape other people’s experiences. BBYO is what you make it. Every hour I spend on a call, planning a program, or writing an email, I benefit or elevate someone else’s experience, just how someone else did for me when I was a general member. 2. It gives you skills that will make you successful in life. Public Speaking - for every election process I go through, I write a speech to read. I have also lead programs and services in front of large groups of teens. Organizational Skills - in order to complete my tasks on time and with high quality, and to make things easier for other board members, it was important that I kept myself organized. 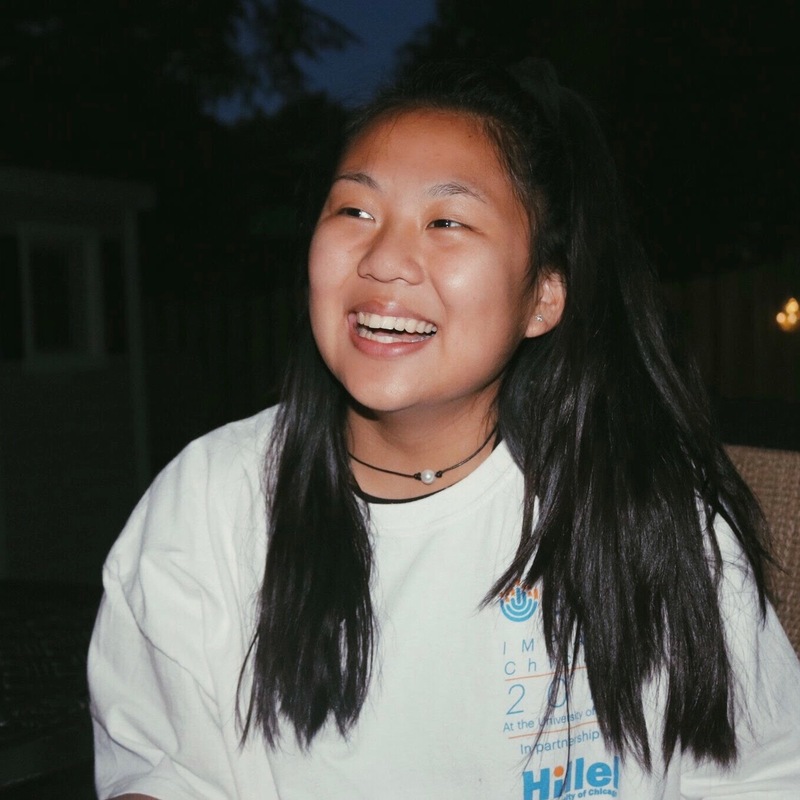 Time Management - as I became more active in BBYO leadership, I also had to make time family, extracurriculars, school, sleep, work, and a social life. It became essential for me to get things done in an efficient way so that I could get everything done. Marketing & Communication Skills - I have learned how to market and promote events to entice a large range of audiences and communicate to people in a concise way that grabs their attention. Technology - Through Google docs, forms, sheets, slides, and more, I have learned to use technology to make flyers, organize my thoughts, and ensure each member is accounted for. Overall, I put so much time into BBYO because I love it, plain and simple. It makes me feel like I am making a difference, I have a great time at events, and I meet amazing people along the way. I implore every teen in BBYO to seek out leadership positions and take advantage of the incredible opportunity before them.